This is the Malaysia chapter from Lonely Planet’s Southeast Asia on a Shoestring guidebook. Buzzing cities, culinary sensations, beautiful beaches, idyllic islands and wildlife-packed rainforests – all of this can be found in Malaysia. The catchy slogan ‘Malaysia, Truly Asia’ con-tinues to ring true. The multicultural peninsula tantalises all five senses with Malay, Chinese and Indian influences. Coverage includes: Kuala Lumpur, Peninsular Malaysia – West Coast, Melaka City, Cameron Highlands, Ipoh, Penang, Alor Setar, Pulau Langkawi, Peninsular Malay-sia – South & East Coast, Johor Bahru, Mersing, Pulau Tioman, Kuantan, Cherating, Kuala Ter-engganu, Kuala Besut, Pulau Perhentian, Kota Bharu, Peninsular Interior, Jerantut, Taman Negara, Malaysian Borneo – Sabah, Kota Kinabalu, Mt Kinabalu & Around, Kinabalu National Park, Sandakan, Sepilok, Sungai Kinabatangan, Semporna, Semporna Archipelago, Pulau La-buan, Malaysian Borneo – Sarawak, Kuching & Around, Sibu, Batang Rejang, Bintulu, Niah Na-tional Park, Lambir Hills National Park, Miri, Gunung Mulu National Park, Kelabit Highlands, Understand Malaysia, Malaysia Today, History, People & Culture, Food & Drink, Environment, Survival Guide. What is a Shoestring guide? Planning a big trip? 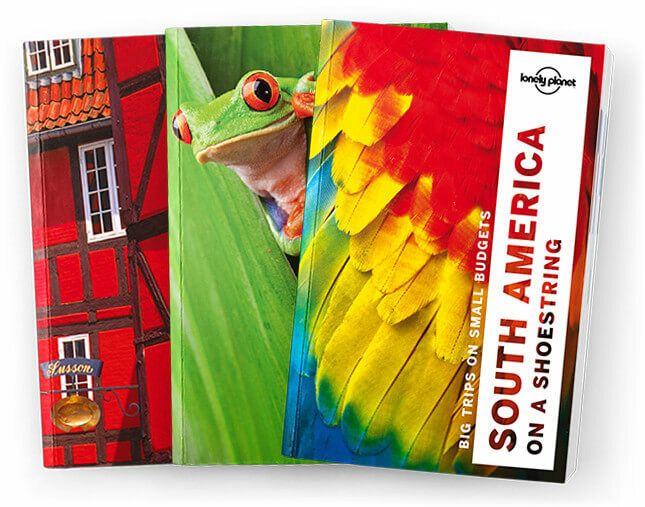 On a Shoestring guidebooks are created with the budget- and value-conscious traveller in mind. Covering entire continents or very large regions, they’re chock-full of amazing sights and experiences, savvy tips and recommendations. The original Lonely Planet guidebook.